4ml Vaporesso Estoc Mega Tank is designed to deliver cloud-sized vapor with the purest flavor of your e-juice. It comes with revolutionary easy coil replacement system, easy top filling and adjustable bottom airflow. 4ml Vaporesso Estoc Mega Tank is designed to deliver cloud-sized vapor with the purest flavor of your e-juice. Coming with revolutionary easy coil replacement system, easy top filling and adjustable bottom airflow, Estoc Maga tank will bring the best vapiping experience! • You can buy replacement coils: Traditional EUC(0.3ohm)/Ceramic EUC(0.3ohm)/Traditional EUC (0.4/0.5ohm)/Ceramic EUC (0.5ohm SS316). 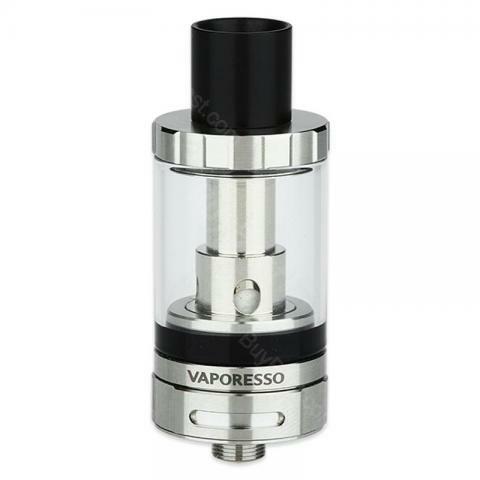 The Vaporesso Estoc Tank Mega has all the makings of a hit. It’s simple to use, uses the tried-and-true ceramic coil technology of the original Vaporesso cCELL that guarantee good vapor production and excellent flavor, and it even tackles environmental issues (provided you care enough about that to buy the re-usable metallic sleeve separately). Vaporesso Estoc Mega Tank With EUC Coil is a 4ml capacity tank with a EUC SS 0.5ohm (25 - 35W) coil, EUC clapton 0.4ohm (40 - 50W). Extra 0.4ohm EUC clapton coil. It's compatible with Vaporesso Ceramic EUC coils.